Akin to an unrequited lover’s yearning for his sweetheart, the earth wistfully awaits the first downpour of rains to welcome its love in her tender embrace. Dark and murky clouds cloak the sky; a sonorous heavenly sound beckons its homecoming, and as the first drop of rain falls, the nature dances with joie de vivre. Our untameable food sense grows stronger than ever as the soil leaves out an earthy scent. The rains bring along with them a strong craving for ‘monsoon-finger-foods’. 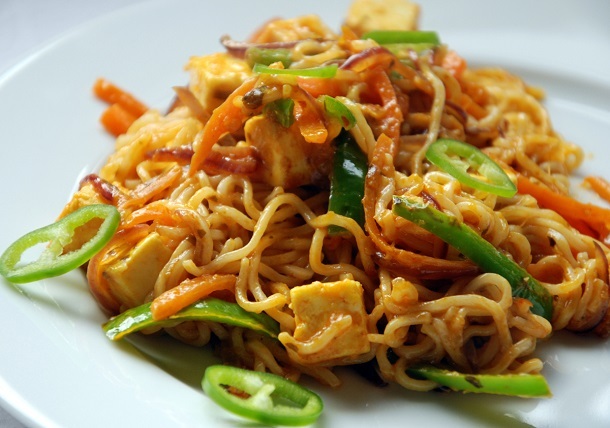 We promise you a hankering of these food stuffs when the days are rainy! 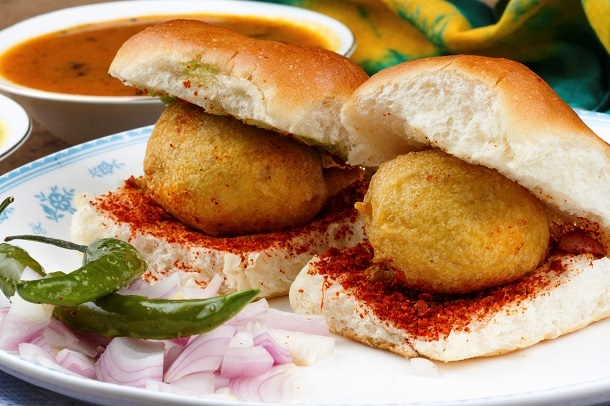 These notorious little balls made out of chillies, onions and potatoes, tossed and fried in a seasoned besan batter are everyone’s favourite. 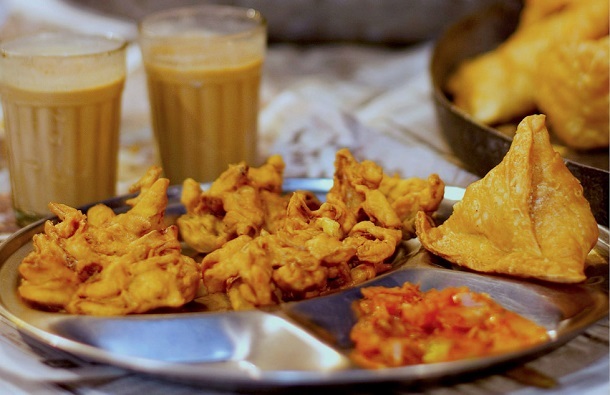 Just as the rain drops hit your roof and you feel the season’s cold embrace, the crisp bhajiyas are scrunched satisfyingly in your mouth, leaving a fuzzy warmth in your body. Don’t miss having it with a cup of chai. Mashed potatoes united with the ebullient flavours of spices, suited up in a handsome wrap of maida, leaves a relishing flavour with every single bite. 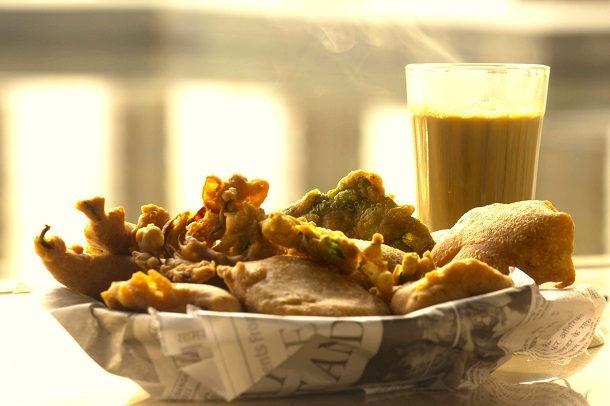 There’s nothing like treating yourself to a plate of hot samosas and fighting the monsoon blues. Give it some soul by sipping a cup of warm tea along with it. The corncob roasted over a bed of red hot coals, caressed with a touch of lemon dipped in salt and chilli powder is a must-have on a rainy day. 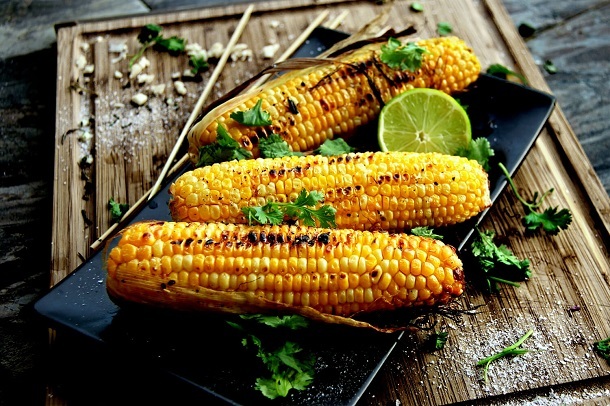 The sabre-like corn is generously stroked with butter to give it a rich, creamy and smooth texture. A chubby blob of potatoes mashed with a zesty tadka of herbs, chillies, spices and condiments is sinfully fried in a pool of oil. It is then placed in the arms of a bread smeared with some spicy and sweet chutneys. If you can dare, then chip in some stir-fried salted green chillies, and smoke up your senses as the rain does the soothing. A two-minute fix for any kind of craving, Maggi comes to the rescue even during the rainy season. You’ve won a million hearts, if you’ve made it with a little bit of cheese and served it hot along with chai. 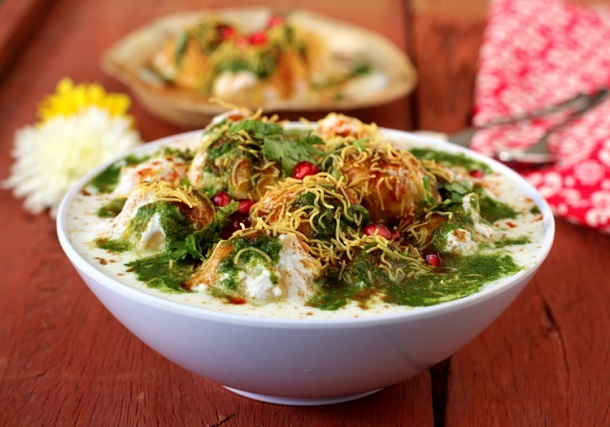 If you can live without chaat, you are not an Indian! Period. Come rain, the chaatwalas on every street are swarmed by people. The chatpata flavours of the chaat fuse with the magical rainy surroundings, little drops of water fall on earth, and slowly the thunderous roar of clouds replaces the soft of crackle of puri. Dahi Bhalla, Golgappa, Bhel Puri, Sev Puri, Chhole Tikki, all devour these with complete joy to celebrate the coming of monsoon. A white moon-like crescent, stuffed with the goodness of meat, veggies and herbs, is all you need to beat the cold showers. 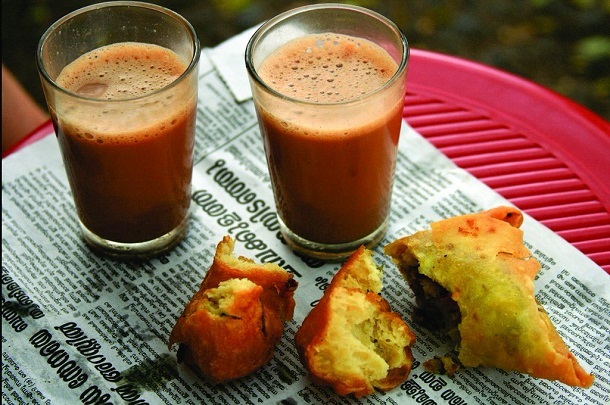 Dunk them in hot garlic sauce and red chutney, and comfort yourself as you bite into the steamy, juicy pockets. Popular in the northern and north-eastern regions of India, momos are slowly becoming a monsoon favourite in rest of India as well. 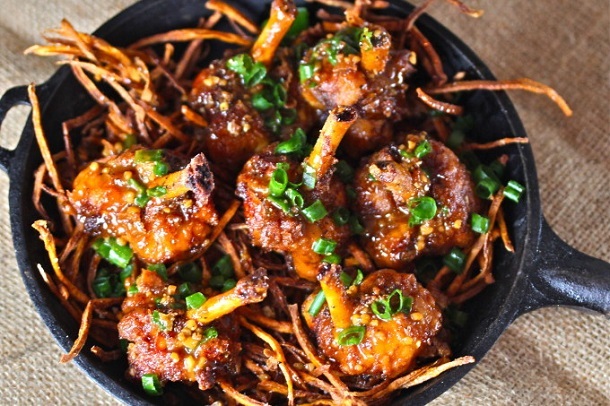 Chicken lollipop served with a hot and spicy schezwan sauce is every non-veg lover’s delight. Biting the soft meat having a slight hint of the red sauce is an absolute bliss, when the sky is pouring its love out. Pairing it up with a hot bowl of soup will give you all the kicks you need for the monsoon. Wine is for the heart, soup is for the soul. 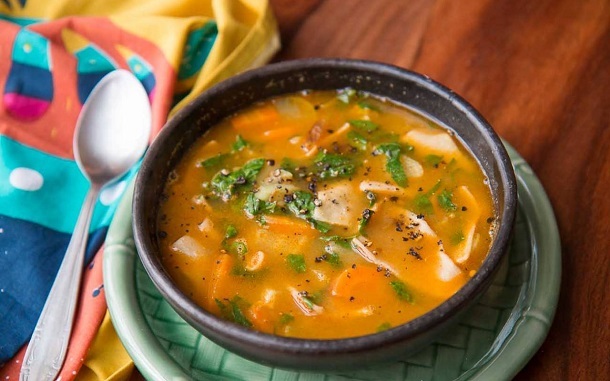 Soup is the mother of all comfort foods served since eternity to soothe our souls on a rainy day or otherwise. The stock is filled with the goodness of salts and minerals that help recuperate in the sudden weather change. It’s the perfect remedy for cough, flu and a sore throat - illnesses that are quite frequent in the monsoon season.